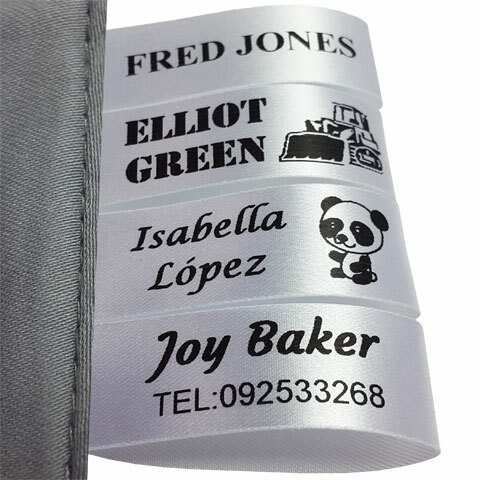 These labels are made from a soft woven satin fabric and are ideal for labelling all types of clothing. They measure 15mm x 100mm in length and are designed so that you can fold them in half to make a loop and just sew both short ends together into one seam. 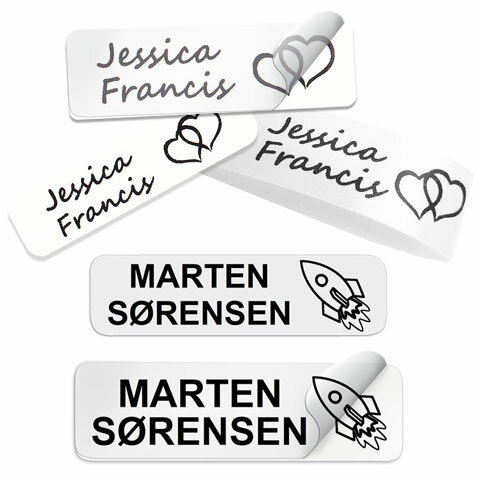 All labels are custom designed with your choice of text, font and logo if you would like one. If you would prefer to use your own logo, and it’s a simple image, we may be able to add this and personalise the labels just for you. These labels are pre-cut, have rounded corners and measure approx. 13mm x 45mm. They are made from a soft fabric with an advanced glue on the backing which sticks to your clothing when you iron them on. We have done extensive testing on this product and have developed comprehensive application instructions to help you achieve the best results. *Please note: Iron-On labels may not be suitable for fluffy, knitted or terry towelling type fabrics. The adhesive needs a flat, stable surface to stick to. Teflon coated fabric may not work either (it’s non-stick). In these instances sew-in labels may be more suitable. 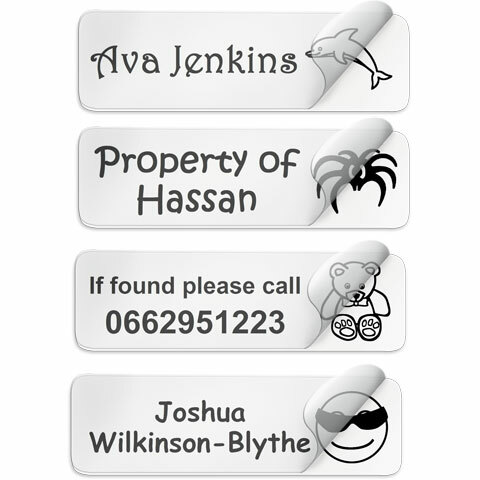 These labels are individually die cut with rounded corners and measure approx. 15mm x 50mm. 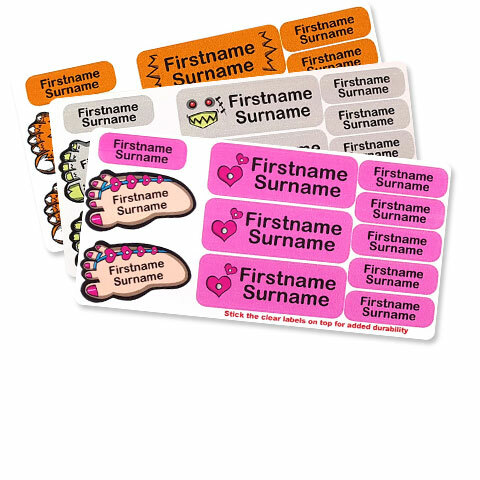 They are strong PVC waterproof labels with a super permanent adhesive backing, which has been laboratory tested, and are printed with durable ink. They are ideal for labelling shoes, school equipment, lunch boxes, drinks bottles, sipping cups, sports equipment, in fact anything with a non-porous surface. They are supplied with a set of clear protective covers for extra durability for use in shoes or the dishwasher. 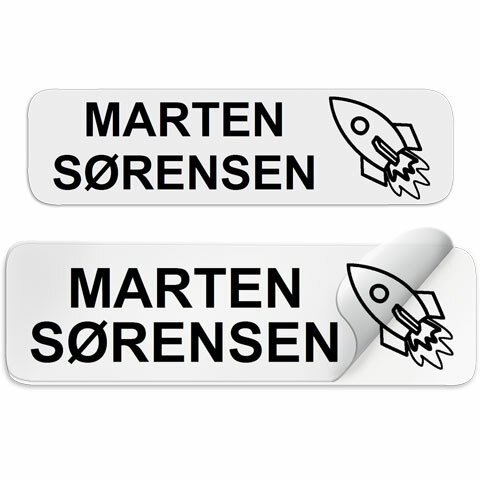 *It is important to note that these labels are not suitable for use on clothing. 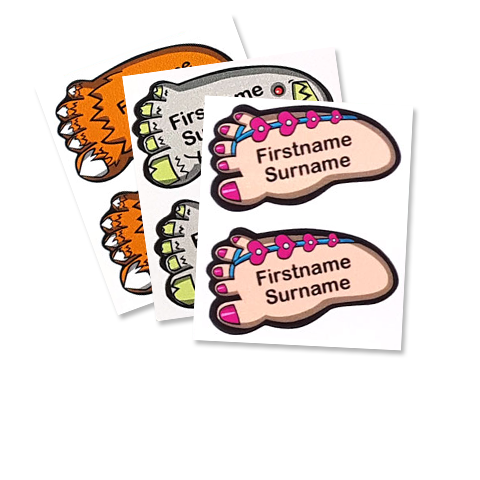 These colourful labels come in 9 different designs and ideal for labelling shoes. Just click on “design your label” and pick your favourite. They are supplied with a set of clear protective covers to give extra durability.